John Simmons Barth is an American novelist and short-story writer, known for the postmodernist and metafictive quality of his work. 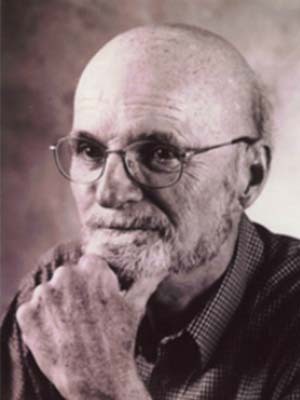 John Barth was born in Cambridge, Maryland, and briefly studied "Elementary Theory and Advanced Orchestration" at Juilliard before attending Johns Hopkins University, receiving a B.A. in 1951 and an M.A. in 1952 (for which he wrote a thesis novel, The Shirt of Nessus). He was a professor at Penn State University (1953-1965), SUNY Buffalo (1965-1973), Boston University (visiting professor, 1972-1973), and Johns Hopkins University (1973-1995) before he retired in 1995.